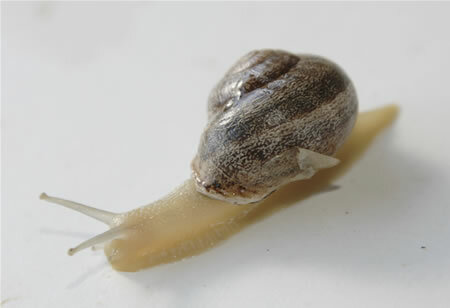 The Otala Lactea is a succulent and palatable snail. 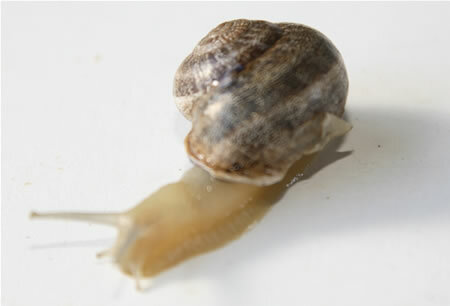 Referred to as “cabrilla” in Spain, it is known as the “milk snail” or the “Spanish snail” in other parts of the world. 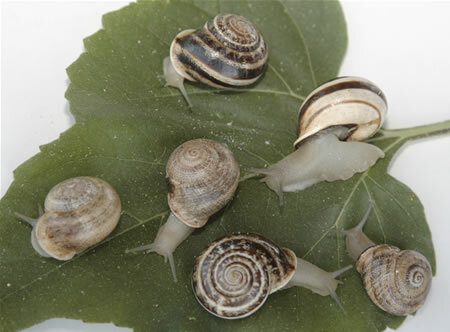 Many believe that Otala Lactea tastes better than Helix Aspersa. The shell is usually light in colour with spiral bands in varying shades of white and grey, although light brown shells are also common. The shell of a mature adult measures 26 to 35 mm in diameter. 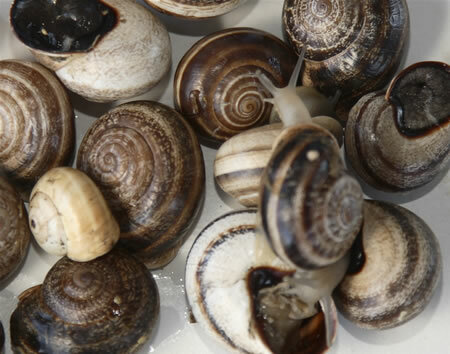 Similar in size to Helix Aspera, the “Spanish snail” is a product of mass consumption throughout Mediterranean Spain, particularly in the area of Catalonia and the Balearic Islands. Served with garlic butter, Otala Lactea makes for a classic entrée. 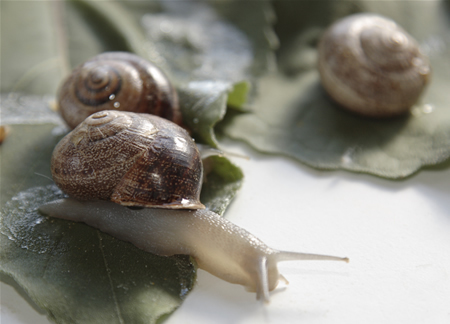 Today, growing numbers of people eat this type of snail in Morocco and the United States. In the great square of Marrakech, street vendors display Hélix Aspersa that have already been cooked and are ready to eat in enormous piles in their large outdoor stands.